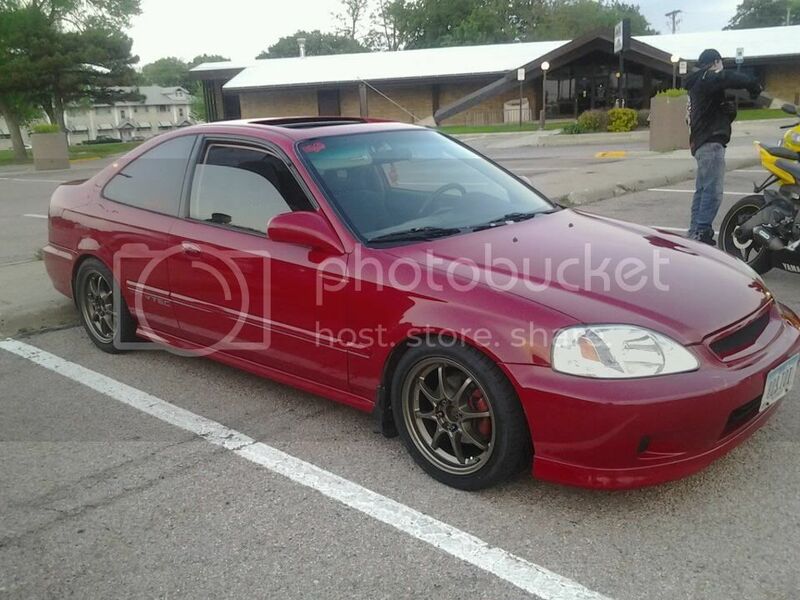 anyone know the difference between the springs between civics accords and integras? i have an integra and i got springs given to me but when i put the back ones on it didnt lower it at all ? kinda weird.. was wondering if they maybe are for an accord or civic maybe there was different idkk any help will be appritiated thanks. I have a friend running S.techs on his coupe, it didnt lower it much......didnt really look like it lowered it at all really but if you think about it their more of a "function" spring rather then "form" not sure what your going for but just my "2 cents"
well i did do it for the function but its just weird that the front is slammed and the back didnt move.. just weird dont really understand it. hope someone can figure this out. i dont feel like its supposed to be this way. thanks for the pennies tho! I did take a pic of it the other way just for giggles.